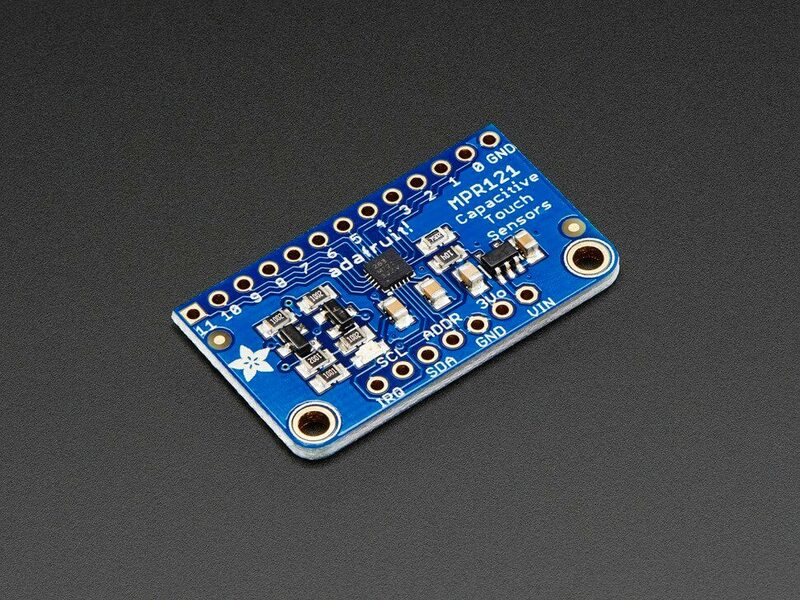 The mpr121 sensor platform allows you to use your MPR121 (datasheet, Adafruit) Capacitive Touch Sensor with esphomelib. The I²C is required to be set up in your configuration for this sensor to work. MPR121 Capacitive Touch Sensor. Image by Adafruit. The configuration is made up of two parts: The central component, and individual Binary sensors per channel. address (Optional, integer): The i2c address of the sensor. Defaults to 0x5A. id (Optional, ID): Set the ID of this sensor. name (Optional, string): The name for the binary sensor. channel (Required, integer): The channel number at the mpr121 the touchkey is connected to.